We were welcomed by a beautiful sunny day on the first week of the Ecuador research season. The excitement began when we saw the sun reflecting off of a whales’ dorsal fin, which was quickly followed by the characteristic blow. Echoing the whales blow were the cheers of excitement from the tourists as they knew we were about to experience seeing these amazing animals and confirm the start of our research season. When you are in Isla de la Plata it’s easy to tell when the whales have arrived, as the horizon is dotted with white plumes of water vapor from the whales blow. This season, however, humpback whales are not the only species capturing the attention of tourists. 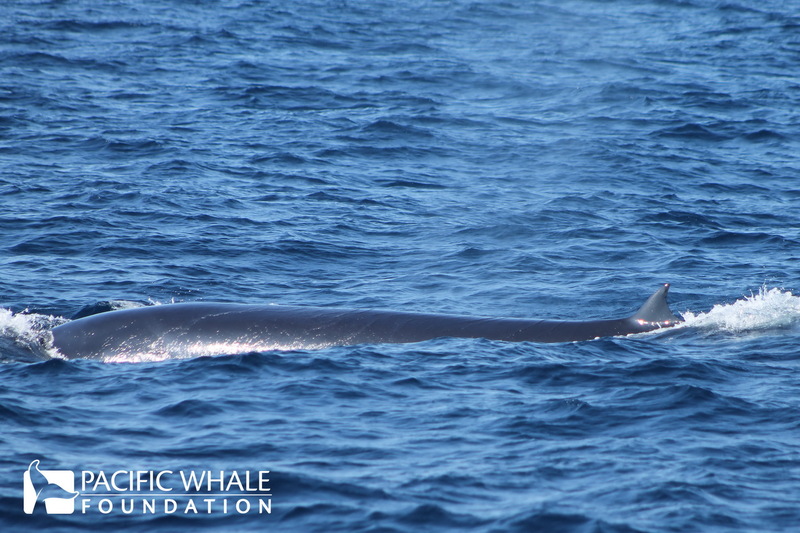 The Bryde’s whale (pronounced “broodus” whale) has remained longer than usual and has captured everyone’s attention. Tourists may find the “not so acrobatic” Bryde’s whale less enchanting than the humpback whale, which is known for it’s magnificent breaches. For researchers, being able to study both species simultaneously is a rare occurrence, akin to finding a pot of gold. The Ecuador research team had a special trip to Isla de la Plata last week, on a very sunny day with calm winds. Most days the team spent searching for humpback whales within Puerto Lopez. However, when calm weather allowed, they traveled to Isla de la Plata, allowing them to see other species besides the humpback whale….